Hello all my wizard friends, remember where we left off last time? yes that is correct , we had a great big mess. As you see in the pictures it is not so messy anymore ,in fact, there is now that fence of looms ;) looks great huh? Let me show you a trick ,to get a fence as close to a wall as possible you we need a small rug usually any will work but I like the small blue trimmed rug and a tic tac toe board or chessboard depending on size of fence. Now place the rug in the direction of where your fence is going , then place board on top of it leaving part of rug showing, move only rug to where wall is and place it , then place piece of fence. 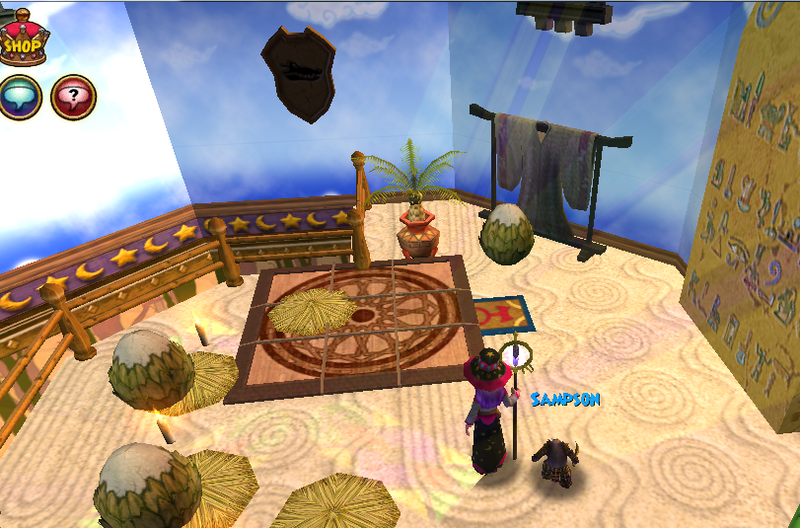 Now you pick up only that rug, yay fence is as close as you can get to that wall. (seen in picture below) The same goes for any hard to place item places like in the middle there ;) where I placed that statue. 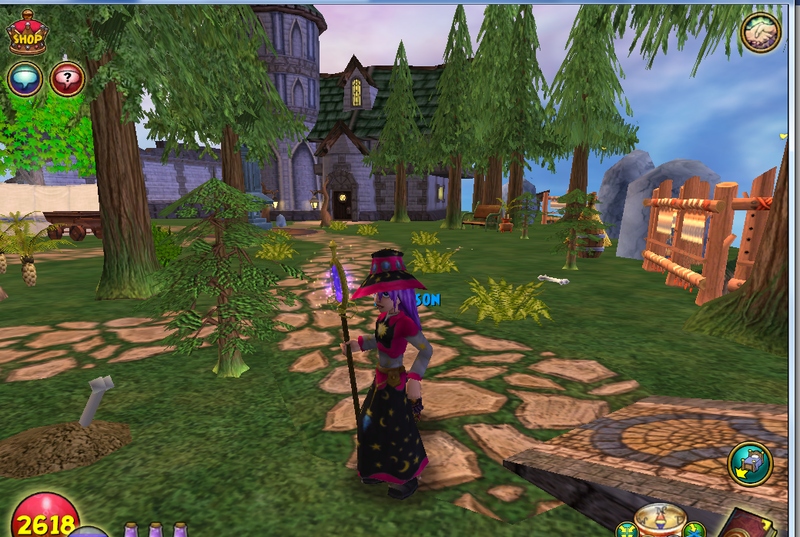 You can also see trees and plants are starting to be placed in spot that might look great but we will see at the final stages if any need to be adjusted, we will get back to that later. Lets take a trip inside to see what has been going on in there ;) I now have all my wallpaper and flooring placed in the rooms. 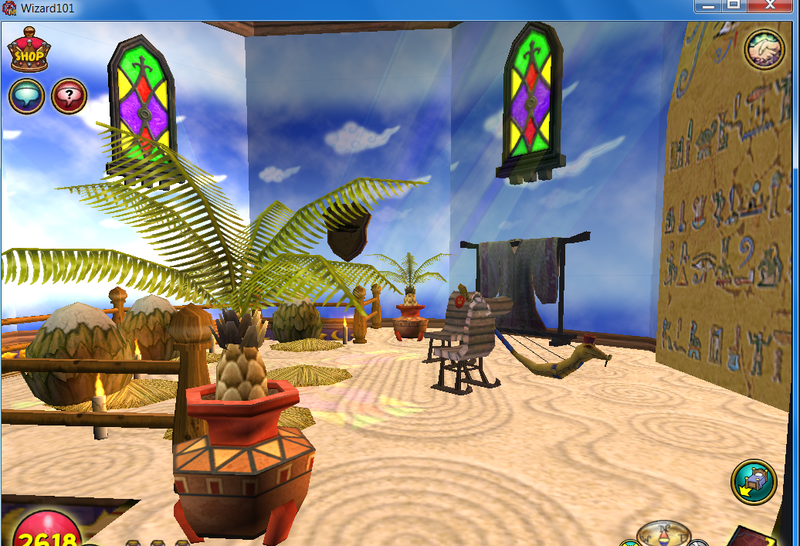 Its starting to look like a part of a pet sanctuary starting but I want to show you a room I have been working on. Here we have a pet nursery ,yes we need to care for all those eggs we will be making. I took pile of straw and placed a drake egg on top of it to look like a nest, ok I know your saying you cannot place anything on those ,yes you can ;). Same trick with rig and board but your going to float the pile of straw , then after you pick up the rug your straw will be left and you are able to set the egg right on top of it. YAY nursery is done :) like it? Looks like I need more gold for more things which will take me a couple of days. I also need to find things that look like food besides fish bones and bones to place in feeding dishes, got any ideals? until next time. Happy House Decorating. 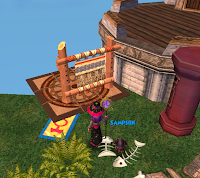 I really like the way the loom fence looks! Thanks for the how-to pic so I can try it.